Glowcare provide an expert repair and service facility for Protherm gas boiler customers, in Cheshire, Lancashire, Gt Manchester, Liverpool and many other local areas of the North West England. We are approved service agents for Protherm boilers and have been so since the late 1990s. Glowcare have acquired specialist knowledge and know-how of all Protherm models: 80e, 80E, 80EC, 100e, 100E and 100EC combination boilers. We also maintain the Protherm 40-50ci and 60-80ci system boilers. We have earned our customer’s trust by providing local, affordable, no nonsense, single visit repair. Please view our Customer Testimonials, to see how our service is rated. 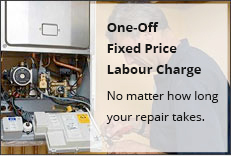 Please get in touch if you require Protherm boiler repair or would like to book an annual boiler service.